At bauma China 2018, XCMG presented more smart and efficient solutions that embody the brand's "Advanced and Endurable" gold standard, such as its unmanned mining truck, smart leveling system for hydraulic cylinders, all-terrain crane and integrated mining solutions. "The alliance, which aims to promote collaboration in R&D and solve technical problems that occur during the construction machinery and core parts development process, is an answer to China's call for the creation of world-class manufacturing industry clusters. 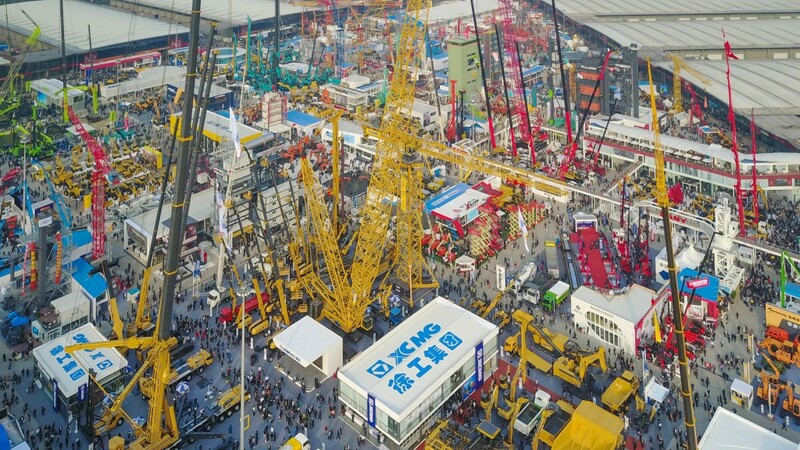 It also serves as a renewed promise by XCMG to the construction machinery industry that it will remain at the forefront of promoting innovation and technological development," said Wang Min, the Chairman of XCMG. XCMG will focus on the product strategy of "high-end, high added value, high reliability and large tonnage" upon the launch of the alliance. A delivery ceremony for the world's largest all-terrain crane, the XCA1600. New product releases, including a multi-functional, highly mobile emergency rescue vehicle and smart system for mining. Updates on "Customize for You," its new program to provide customized solutions to clients according to their specific needs. Updates on the company's "For A Better Life" public welfare campaigns and information on the launch of Phase 3 of its water cellar project in drought-stricken countries in Africa in partnership with the China Foundation for Poverty Alleviation (CFPA). XCMG has achieved continuous breakthroughs in technological innovation and product quality. At bauma China 2018, XCMG presented more smart and efficient solutions that embody the brand's "Advanced and Endurable" gold standard, such as its unmanned mining truck, smart leveling system for hydraulic cylinders, all-terrain crane and integrated mining solutions.